The ideal Brisbane wedding venue, the Stamford Plaza Brisbane plays consummate host for weddings, setting a new standard in romantic elegance at one of the best Brisbane wedding locations. Situated adjacent to the Botantic Gardens, the Main Garden and Flagpole Garden create elegant ceremony venues with beautiful views of the Kangaroo Point cliffs and Brisbane River. These gardens are the perfect location in which to walk down the red carpet to take your vows before celebrating in style in one of the hotel's Brisbane reception rooms. 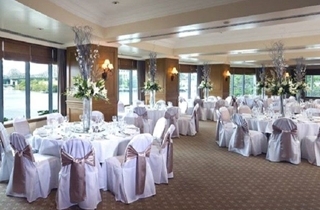 These ceremony locations are for the exclusive use of guests holding their wedding reception at the Hotel. The Hotel's Grand Staircase and foyer together with our riverside gardens is the perfect backdrop for yourl photographs. Our magnificent Grand Ballroom lends itself perfectly to a formal gala Brisbane wedding reception. 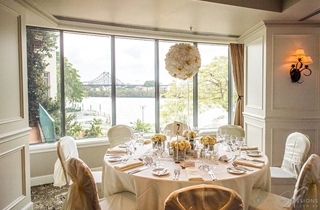 Our River Room is one of Brisbane's most sought after wedding reception venues with glass windows along one side of the venue offering unparalleled views of the Brisbane River. The Raffles Room, with graceful decor, is the perfect location for an intimate or cocktail style Brisbane wedding reception. The Stamford Lounge is located on the third level, overlooking the Hotel pool. The room is decorated in soft pastel shades and benefits from an abundance of natural daylight.